Warm Pumpkin and Feta Loaf with lashings of butter! There seems to have been a lot of bread making going on lately and I must say I am loving it, with recipes from The view from Great Island, Goddess on a Budget, A Trifle Rushed or Belleau Kitchen these have to inspire you to put the oven on. 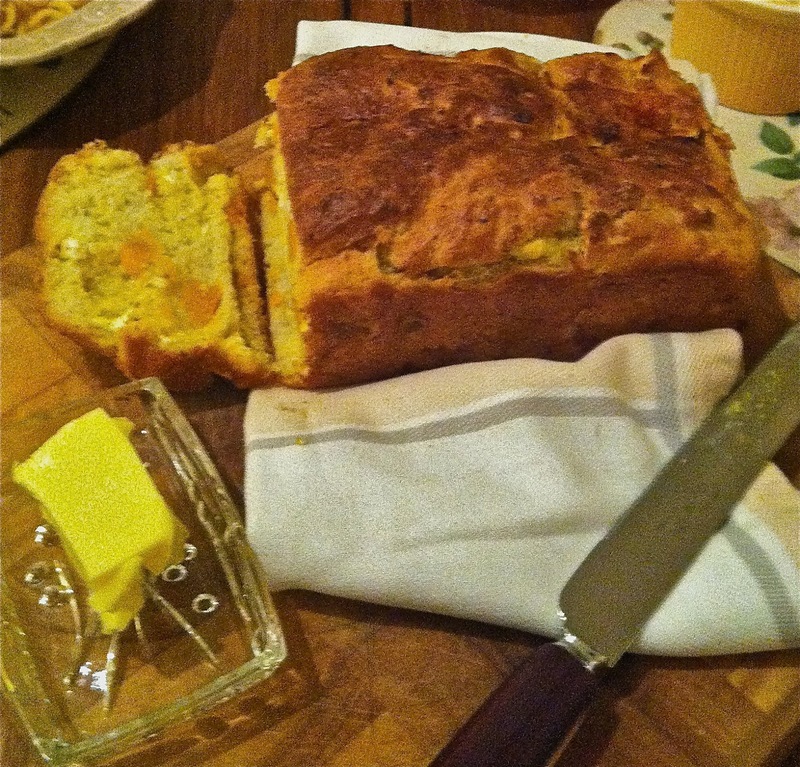 So while I had my Donna Hay " Seasons" book down last week preparing for the Random Recipe Challenge at Belleau Kitchen I was taken with her Pumpkin and Feta Loaf. This was very easy and the end result was amazing. In fact I don't know why I bothered cooking anything else we could have eaten this bread as a meal on its own, I couldn't stop until one whole loaf was demolished. We had most of the sister loaf toasted under the griller the next morning, the sweet pumpkin and salty feta with a fried egg on top set us up for the day. These ingredients made two small loaves so when I made it again yesterday I halved the amount (this was to stop us eating so much of it). Top Tip - The thing to remember is to start this bread making at least 2 hours in advance. I am very good at scanning the recipe to make sure I have all the ingredients but neglect to read how long it is going to take me. So the first effort I was trying to beat the clock the whole time and we ate quite late! The man was very grumpy and it took all my strength to stop him hitting the cheese and biscuits before I got this on the table! Preheat oven to 160C(320F) Place pumpkin, oil, salt and pepper in a bowl and toss to coat. Roast in the oven on a baking tray for about 15mins or until tender. Put aside. Put yeast and water in a bowl and stir to combine. Allow to stand in a wam place for 10 mins until the mixture starts to foam. 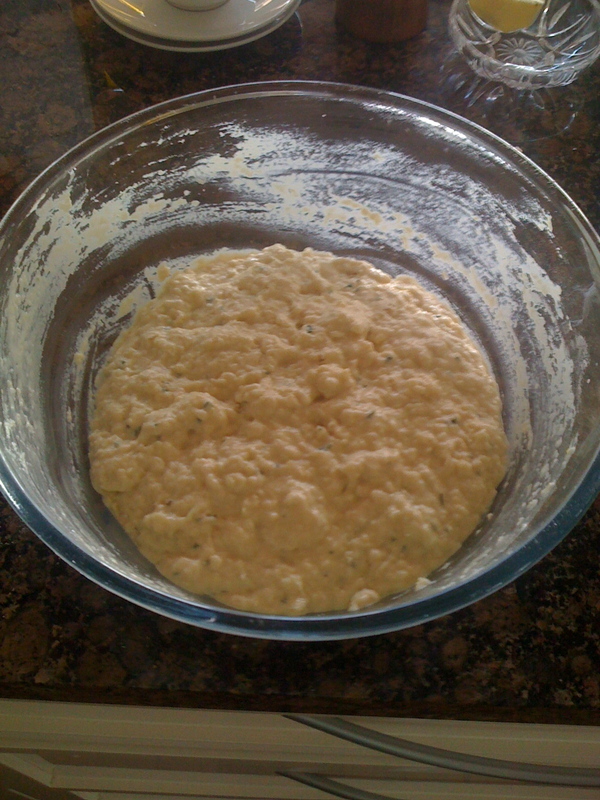 Put onions, extra oil, milk, eggs, rosemary, salt and sugar in a food processor or blender and wiz till smooth. 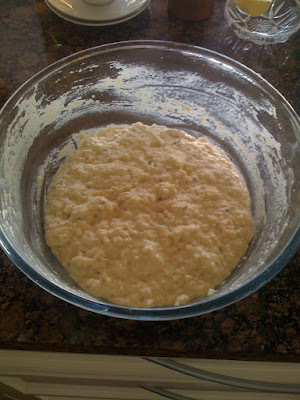 Mix flour, onion mixture and frothy yeast in a bowl and stir well to combine. 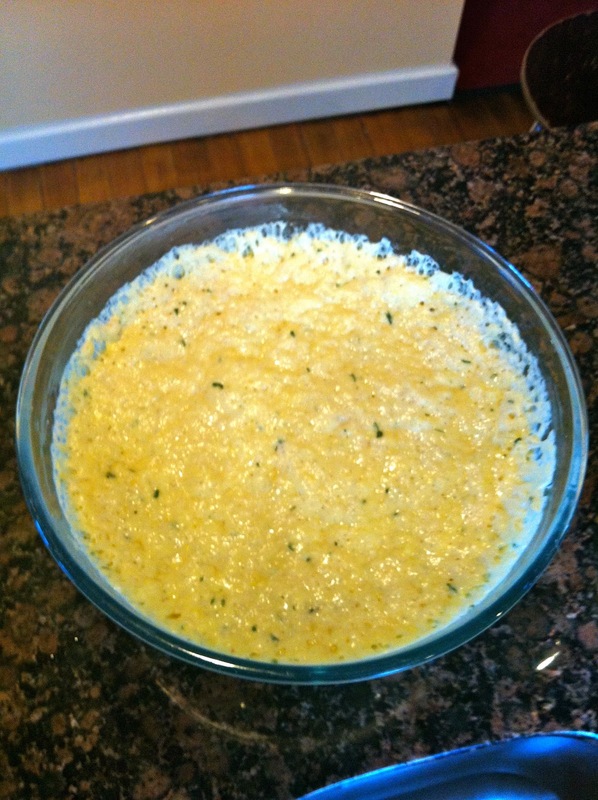 Cover the bowl and allow to stand in a warm place for 1 hour or until the dough doubles in size. Now you can understand how tense the kitchen was! Add pumpkin to the dough, crumble in the feta and mix to combine. Now Donna tells me to spoon the dough into a lightly greased 2 litre loaf tin. I didn't have that size so mine went into two 1 litre tins and I baked for 1 hour or thereabouts. Test with a skewer to see if its cooked. Cool for 10 mins or so before removing from the tin. Both tins would serve 12 easy. This is a very "scone like" texture when cut and cuts better when cool if you can wait that long. I cooked this again yesterday (only half the ingredients) and this time I used Wallaby Bakers Unbeached Flour instead of just plain flour which gave it more of a bready texture. Still absolutely delish! GG No kneading at all! Bonus. Yes don't you hate that "marinade overnight "- my heart sinks when I see that and I am half way through the cooking! Jude, it was tooo yummy and we ate far too much and I do like it when it is easy, not like you - you go for the difficult. Love the gingerbread house for St. Pat's Day.! Oh I really want to make this. But two loaves is quite a lot, i wonder if my brothers would enjoy it. If not, maybe like you I will half the ingredients. I'd love to have a look of the 'Seasons' Cookbook, I wonder if the local library has a copy. Go for it - I bet you would make it again and it looks so special. I absolutely LOVE this bread!... isn't it just so wonderfully satisfying pulling that freshly bakes loaf our of the oven... the taste... the smell... just delightful! Fresh bread is definitely my weakness! I really like the sound of this bread - as you know feta is rather a hit in this house - so I think I'll have to have a go at this. Bought Waitrose magazine yesterday - recipes from Donna Hay's Seasons inside! What a coincidence! Completely off the subject - it's Mother's Day here on Sunday! I never use to like feta - it was too salty - but now my taste buds seem to have changed and now I am liking olives and capers and anchovies! Funny how things happen at the same time - Donna Hay in the UK - I was on time with my Seasons then. Thanks for the heads up for Mother's Day better send a card - we will be in the Barossa Valley South Australia visiting Maggie Beer's Farm Shop! And a few wineries! Charlie, Page 172 for the scrumptious picture ( I love Donna's photographers) and 174 for the recipe. Enjoy! Yum! This bread looks really appetizing & love color! I've never tried baking bread with feta, sounds interesting but truly, it looks fantastic! Kit it was so delicious we at the whole loaf between two of us!!! I just used all of the feta in the house for a salad, but it just went on the list because I really must try this recipe! Feta and pumpkin? I never would have thought! Tracey, you might have to invest in some goggles and a mask! 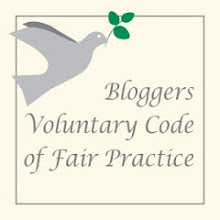 PS - just a reminder about the Food Bloggers Unplugged as in my Jan 2012 blog. Sweet and salty is a lovely combo - get ready for Greece. Lori thanks for dropping by - this bread is so yum you will want to make it again and again - it is so impressive! Hope to see you pop by again.